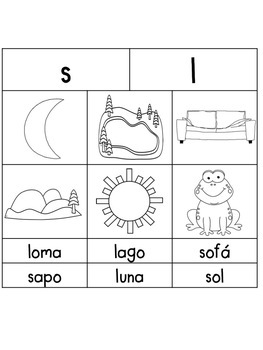 This spelling word packet consists of 18 initial sound word sorts in the Spanish language. 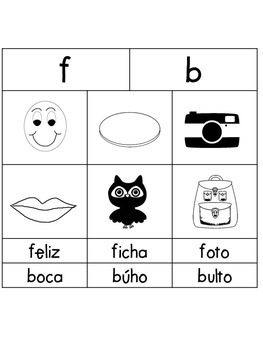 Each page includes 6 words with a matching picture. 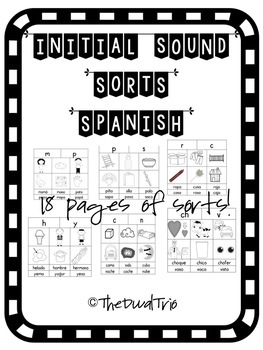 There are two initial sounds per page. 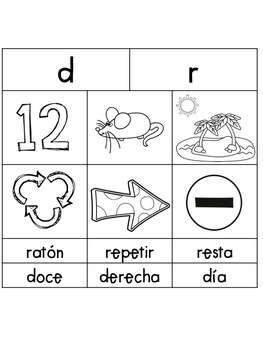 Pages are intended to be used in order, so that students explore the sounds and review them the next week. Whatever the use you decide to give this packet, we are sure you will find it as helpful and beneficial as it has been to us. Our kids love it!! !